We accept cash, all major credit cards (Visa, MasterCard, Discover, American Express), and CareCredit. Full payment is due at the time of service. 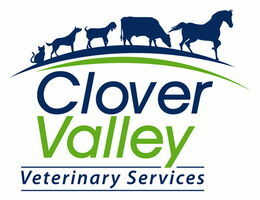 Clover Valley accepts CareCredit, the healthcare card. CareCredit is North America's leading medical payments program. CareCredit lets you say yes to the best treatment for your pet immediately, and pay for it over time with low monthly payments that fit easily into your budget. You can use your CareCredit card for all your pet's follow-up care as well as annual exams and vaccines, so you can spend more quality time with your family pet.